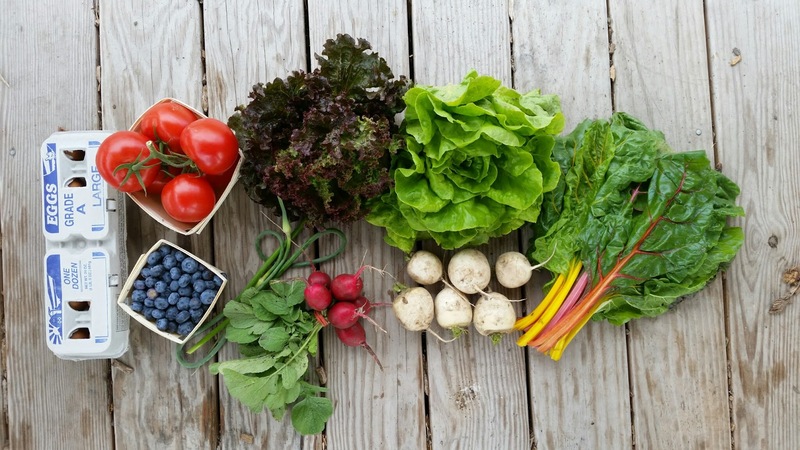 What is a CSA Share (Farm Share)? - $680 - Each week Shareholders are greeted with bins full of freshly harvested produce to choose from. The Share is free-choice within limits, and averages 8 items of produce at each distribution. We provide an incredible diversity of seasonal vegetables and fruits, which change at each distribution. The Share supplies a household of 3-5, or 1-2 avid veggie eaters. Don't think you can eat it all? Many members share with a friend, switching off weeks or dividing up the Share together each week. Our Produce Share is all locally grown on our own Certified Organic Farm and at our local partner farms (Certified Organic, Ecoganic, or IPM) . - $124 - 1 dozen of our delicious, fresh, deeply-orange-yolked, heart-healthy eggs/week. Miss a week? Just catch up the next week. Pork (Miller Family Farm, other local farms): Breakfast Sausage, Italian Sausage, Pork Chops, Roasts, Natural Bacon, and other tasty items. 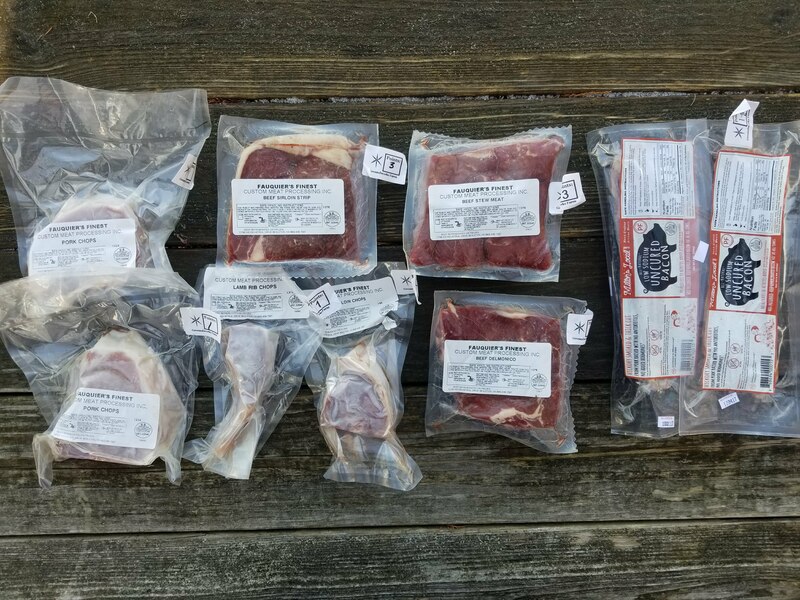 Beef (Miller Family Farm, Wolf Creek Farm): Ground Beef, Steaks, Roasts and other delicious items. Lamb (Miller Family Farm): Chops, Roasts, Shanks, Sausage, and other scrumptious items. Wild Alaskan Seafood (Wild for Salmon): Salmon, Cod, Scallops, and other wonderful items. 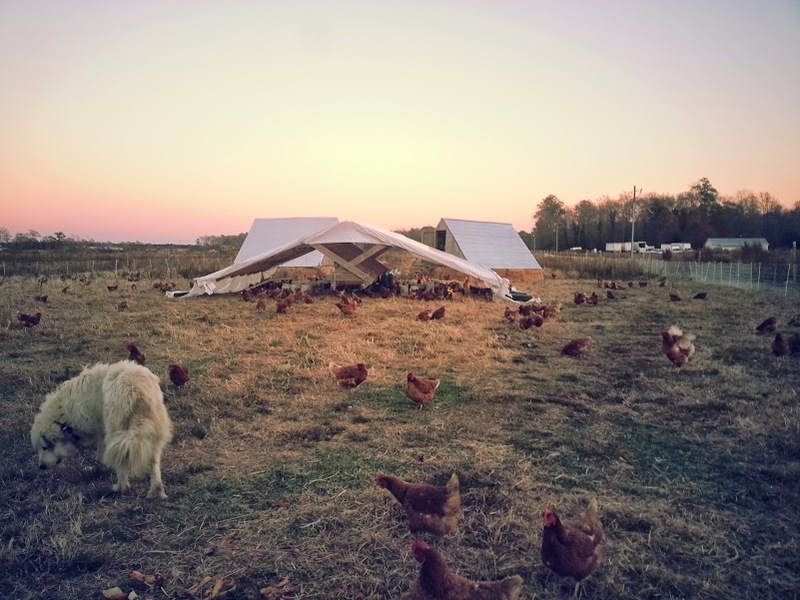 - $262 - Two of our Pasture-raised Chickens--dressed, whole and frozen--at each monthly pickup. 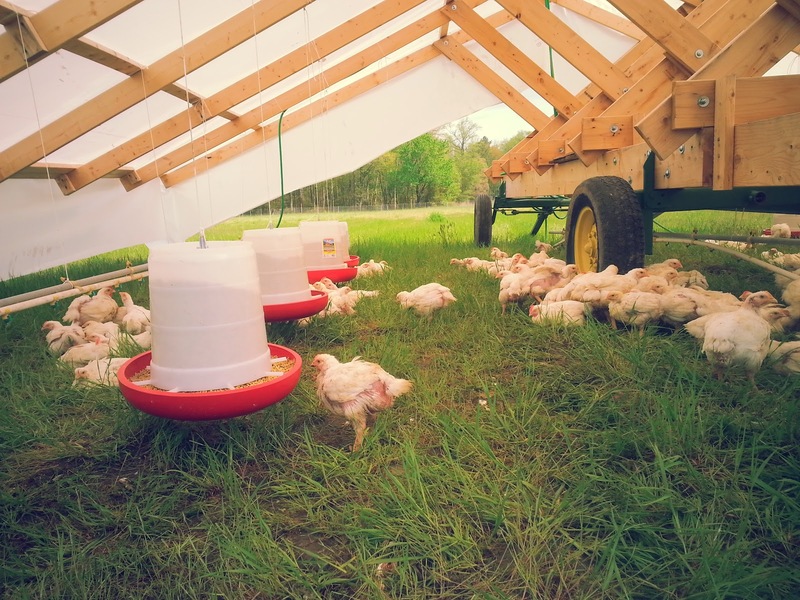 Chickens are approximately 3-4 lbs each. Total of 12 Chickens. - $120 - Cheese from Chapels Country Creamery, Firefly Farm, Chesapeake Bay Farms, Cherry Glen Farm, Meadow Creek Farm and others. Approximately 1 lb of amazing raw and pasteurized milk cheese per month—at least two different varieties per pickup, our choice. The best cheese the area has to offer. - $1751 with a Regular Meat Share. $1488 with a Small Meat Share. - Sign up for all five options for a truly local diet, and great bargain. Eat like a king. Produce, Eggs, Chicken, Meat and Cheese! 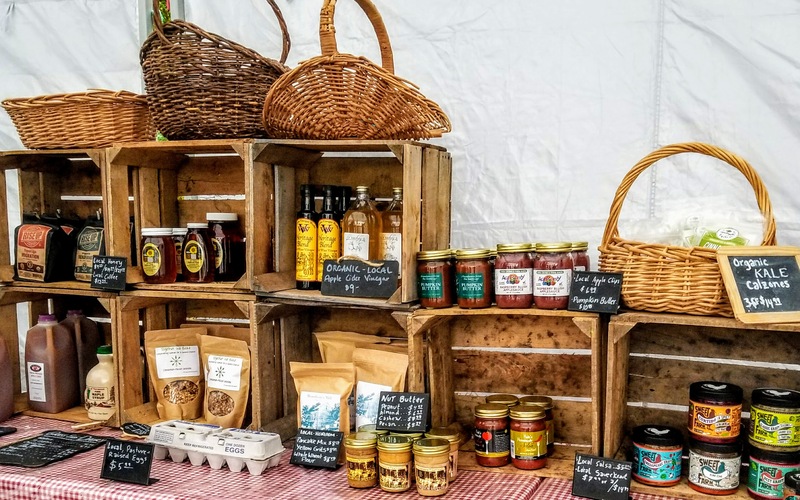 The Farm Store is a convenient and diverse collection of high-quality, local food products from our friends offered for sale at EVERY CSA PICKUP. 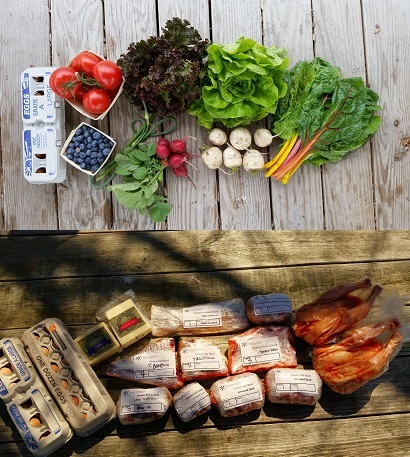 This farmers' market-style store gets set up at each CSA pickup. We accept credit cards!